is research fellow at the University “Ss. Cyril and Methodius” in Skopje. 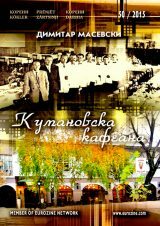 Research fields: Macedonian literature of the 19th century, comparative literature and the history of cultural terms. Nowhere is the politics of history more vexed than in the conflict over the use of the name “Macedonia”. Valentina Mironska-Hristovska presents the Macedonian position, arguing that the Greek claim to the historical-cultural legacy of Macedonia is, at heart, paradoxical.